Home Personal	New Camping Gear Day! 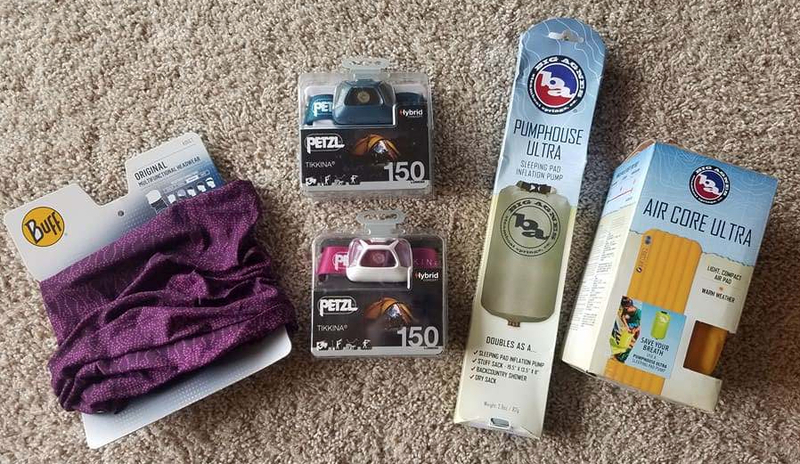 I mentioned in an earlier post that I ordered a bunch of stuff from REI. Well, it was delivered today! We both got new headlamps — a must for camping. 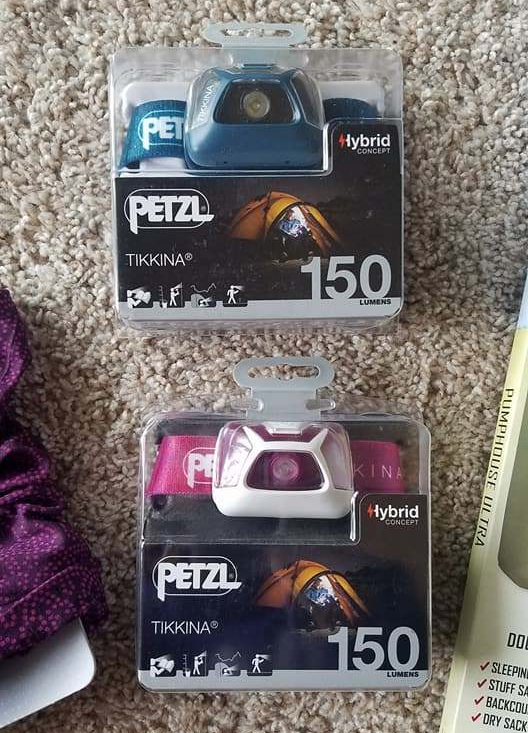 These inexpensive Petzl Tikkina headlamps shine up to 150 lumens, which is perfect for walking around the campsite after sunset. Bobby said he wanted pink, so he got pink! Unfortunately, there are not red/blue light filters. Wish I would have noted that before purchasing. Either way, these were a great deal! Now, this is what we’re most excited about! Bobby already has a Big Agnus Air Core sleeping pad, but I had to get one for myself. AND, we got a Big Agnus Pumphouse!! This thing is so cool! It took a few pumps to fill the sleeping pad. 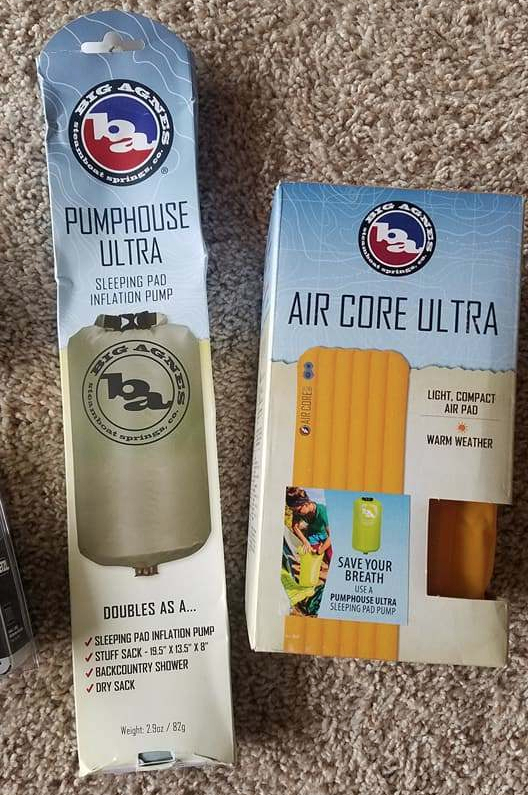 The Pump also serves as a stuff sack, dry sack, and backcountry shower! AHHH! We’re in camping-nerd heaven! Now….time to go camping!